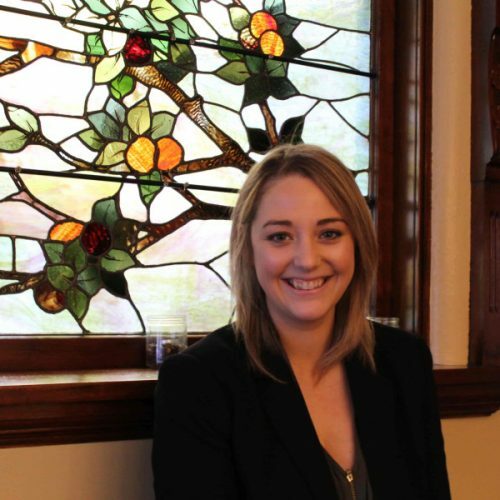 Katie Vokes came to Sanford House with extensive experience in the Health Care field. As the head of operations for a group of medical outpatient centers, Katie focused on community outreach and practice development. Her role at Sanford Outpatient Center is to support the clinicians, providing high quality of care. And to create a safe and comfortable space for Sanford clients to work on their recovery. When Katie is not working, she loves being out of doors. Especially in Northern Michigan on Lakes Huron or Michigan. And she likes to hike, boat and spend time with her husband and their German Shepard, Boss.